Our first batches of Stollen are in stores. We will continue to have Stollen available through December 24 or until we are sold out. Stollen is a traditional German Christmas bread containing candied orange and lemon peel, almonds, rum-soaked currants and golden raisins. This bread lasts two weeks on the counter, and actually gets a better flavor with age. The recipe’s special ingredients and three-day baking process make this a treat not to be missed! For those concerned with allergies, it contains nuts (almonds), eggs and soy. Receive 3 punches on your Baker’s Dozen Card for a Stollen purchase. 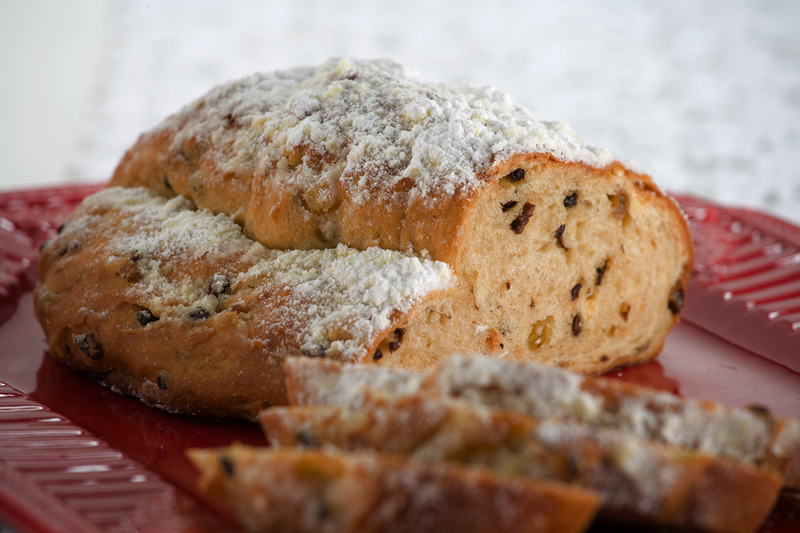 Redeem a full card for 20% off a Stollen!